rich architecture of its buildings and churches, and lots of history, especially in its capital, Sofia, one of the oldest cities across the continent and region. But we will meet other beautiful places in Bulgaria. Among beautiful mountains, to admire many animals such as goats, deer, eagles and owls. It also offers hundreds of species of mosses and fungi. In this room the highest mountain in Bulgaria, Musala is located, preferred by climbers from around the world destination. Sofia is Bulgaria's capital and its largest city. It offers a wide range of options to learn from history, culture and architecture. The best museum not to miss is the National History, not to miss their churches. Sofia has plenty of nightlife with bars and restaurants and during the day, markets and parks. 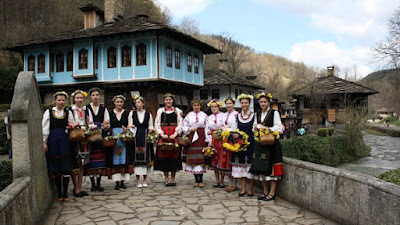 It is a nice village in southern Bulgaria which allows rememorarse to the past. You can enjoy a concert of bagpipes or explore the architecture of the seventeenth century. On the outskirts there are hot springs. Another nice people, very picturesque, where less than 500 people live and stands under sand dunes. To get there you must travel by car or bus for two hours. It is the largest producer of wine, so you can tap to taste. All houses have their warehouses. A few kilometers from the urban area is the most popular vineyard, called Damianitza and Rozhen Monastery. It is a small-sized city near the border with Serbia, on the slopes of the Balkans. It has a castle where you can enjoy the sunsets and the fortress Kaleto, very old. It is located off the coast of the Black Sea and is a popular city for its archaeological and naval museums. It also offers tourists the opportunity to visit beautiful churches, art galleries and beaches, including Sveti Konstantin.